Amazon Order Fetch App bridges the gap between your Amazon Marketplace and Customer Support Service of your Amazon Customers. Confirm the order details fetching from Amazon Account on the ticket for the proper validation and avoid bogus queries. Now, you can furnish close attention to each and every customer’s query coming from your Amazon Store and resolve customer’s issue quickly. Amazon App integration is really easy. Just a few steps and then you are ready to fetch the order related from your Amazon marketplace to Ticket System. 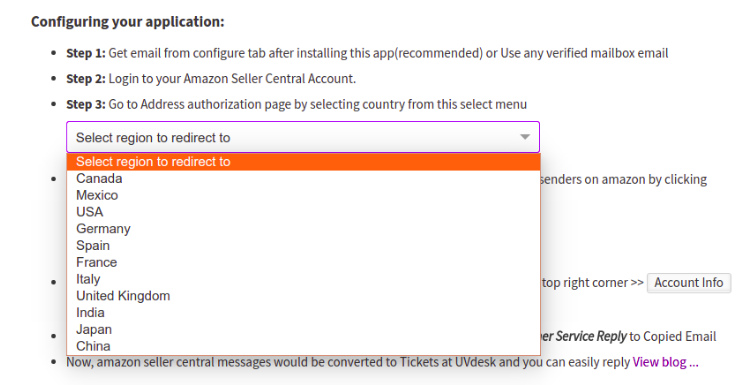 The support staff or the agents can check the details of any order number from Amazon Online Store directly on the ticket system. This app will give a better understanding of the customer’s request and their originality and it will help the support staff to serve the genuine customer in a better way. 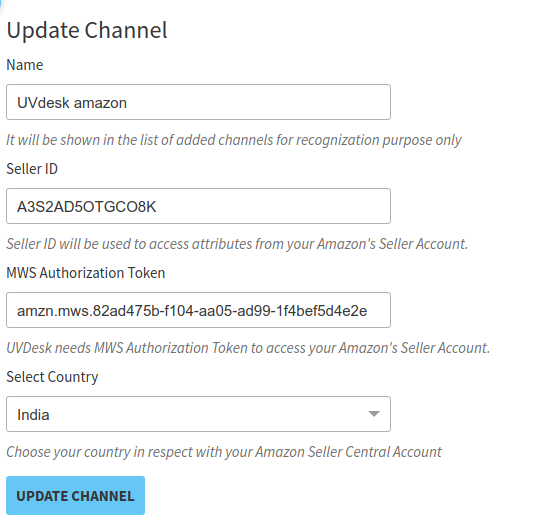 How to get Amazon MWS Authorization Code? By agreeing to terms and condition, on the next page you will see credentials. 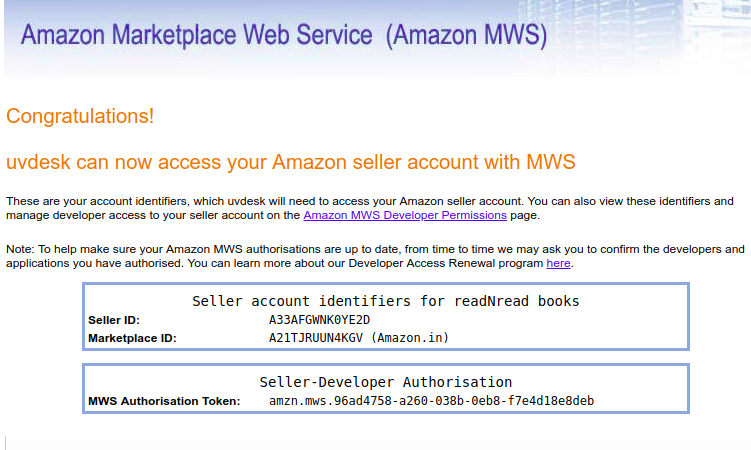 Where do I need to enter Seller ID on Amazon MWS Page? You need to enter seller ID while configuring Amazon Order Fetch App along with Amazon MWS Credentials which you got in the first step. What are order details fetched by Amazon Order Fetch App? For which country I can configure Amazon Order Fetch App?